Running out of petrol on a motorway is one of life’s ‘grit your teeth and bear it’ moments as we know that all to often we will be paying over the odds for our fuel - and now it’s been revealed how much extra you pay. 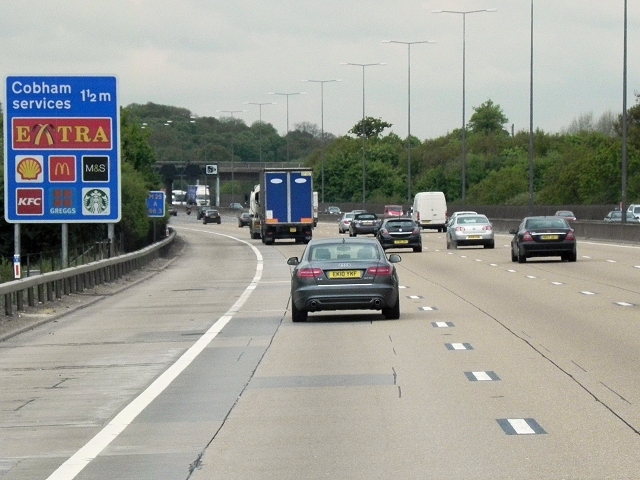 A report published by the RAC shows that motorists pay an 18 per cent premium each time they have to refuel their car at a motorway services. Whilst we pay on average 127.1p per litre for unleaded at a supermarket, that price can rise to a shocking 149.6p at a motorway service station. The RAC’s Fuel Watch report shows that the difference for filling an average-sized family car is £12! Overall drivers have enjoyed good news for fuel prices recently, with supermarkets cutting the costs of their own petrol prices to halt what looked to be continual rise in prices. Theresa May announced a further freeze on fuel duty, but the RAC is warning that there could yet be bad news for those who use their car on a regular basis. Simon Williams, fuel spokesman at the RAC, said: 'A dark cloud is hanging over forecourts as oil is at a four-year high and there is lots of volatility in the exchange rate due to the increasing tension of the Brexit negotiations. 'While petrol prices were cut by 2p a litre at the end of the month due to a lower wholesale price, the biggest retailers should have been passing on those savings on a regular basis rather than saving them up for headline-grabbing cut. 'Instead they were almost certainly hedging their bets based on the rising oil price and the fluctuating pound. 'This is sadly proof that rocket and feather pricing does exist among the major supermarkets. 'Latest market indications are showing prices are beginning to go the wrong way, perhaps taking us closer to the record highs of April 2012. 'We believe motorists have the right to expect the biggest fuel retailers to reflect the wholesale price more closely at the pump, as they purchase more frequently and therefore can easily do this.